Changing Attitude Ireland is launching a new book, “Moving Forward Together: Homosexuality and the Church of Ireland”, in Belfast on Tuesday 7th February and in Dublin on Thursday 9th February. 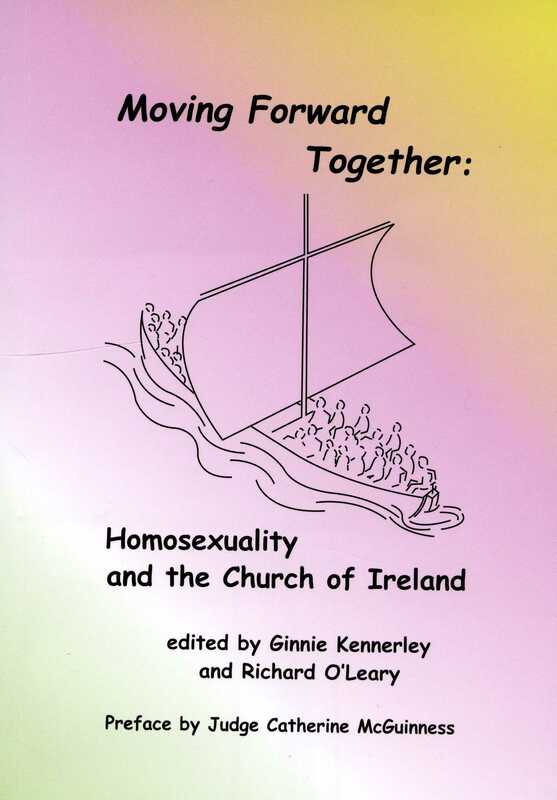 The book, co–edited by Ginnie Kennerley and Richard O’Leary, includes short articles in straightforward language written by leading theologians and well known Church figures, as well as personal accounts from both lay and ordained gay or lesbian people. Among the contributors are Dr Nigel Biggar, Regius Professor of Moral & Pastoral Theology in Oxford, Dr Andrew Pierce from the Irish School of Ecumenics, the Bishop of Cashel & Ossory, Archdeacon Gordon Linney, and Dr Alan Acheson. You can download the table of contents and the foreword and preface. The book will be launched in Belfast on 7 February at 4.45pm at the Good Bookshop, Donegall St (next to St Anne’s Cathedral) where the speaker will be Lady Brenda Sheil. The Dublin launch will be on 9 February at 6.15pm in the Trinity College Gallery Chapel, where the speaker will be Judge Catherine McGuinness. It can be bought at the following locations. from The Treasurer, Changing Attitude Ireland,. Posted on 3 February, 2012, in News. Bookmark the permalink. 5 Comments. Unlike the “closed door” conference in March, can anyone attend the book launch in Dublin? As far as I know, the book launch in Dublin is open to everyone – the one in Belfast certainly was.